For as long as I can remember, my mom has ran competitive races. This year, she finally convinced me to running a half marathon with her. Runners traverse 13.1 miles during the course of a half marathon. According to Runner’s World, if you can easily run three miles, you’re ready to train for a half marathon. The half marathon I will be competing in is three months away; however, I know I need to prepare now in order to be successful. While I have ran 5k and 10k races, I know the road ahead will be tough work. Here are some tips I’ve gathered in my own training regimen, along with races and resources to help you get started. Preparing for a half marathon should include three to four days of running, three days of cross training, including weightlifting and cardio, and two days of rest. When you do run, the goal should be to build your distance by one mile every week. Doing dynamic stretches, including high-knees and karaokes, helps to increase blood flow and serves as a great warm up for your training. Static stretches, like figure 4’s, should also be considered. Diet is also an important component of training correctly for a half marathon. Eat carb-heavy meals at least an hour before you run, and eat protein-packed meals within an hour after you finish training. Drinking at least half a gallon of water a day is also essential. If divising your own training plan doesn’t work for you, there are several beneficial places to find training plans that have already been made. I highly recommend Nike, RunnersWorld and Strava, which can help you formulate a personal training plan to fit your needs. However, there are many other sources out there. Just a quick Google search or browse through social media could suffice. You can train for a half marathon just about anywhere. 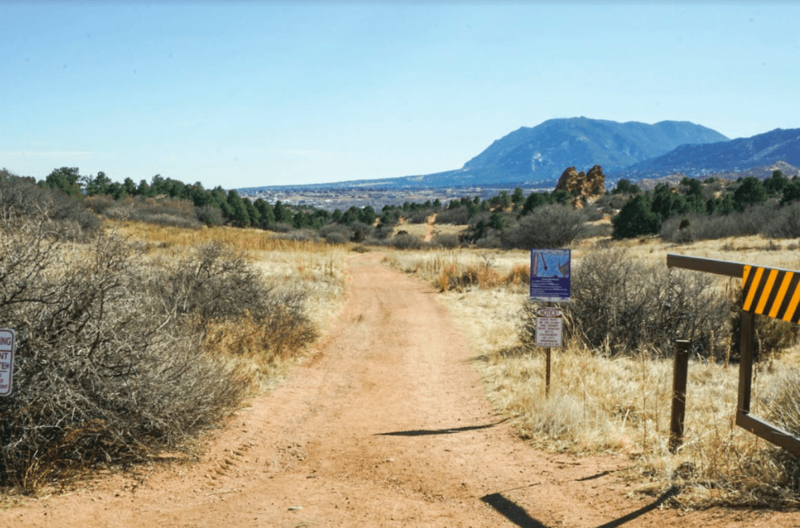 Notable places include trails along Pulpit Rock Park Trail, Garden of the Gods or the Palmer Park Outer Loop Trail. Apps like AllTrails or TrailRunProject help students find trails that are close by. Indoor locations, like the Gallogly Recreation and Wellness Center, are also available to avoid colder weather. Paid memberships, at gyms like 24 Hour Fitness, are also good options for training centers. As for races, you can choose from any number of them taking place in Colorado Springs this year. Some of those races include the Ham and Hamstrings 5K, hosted at Stetson Hills Open Space on April 1; the Mountain Ridge Trail Half Marathon and 10K, located at 10590 Mountain Vista Ridge on June 23; and the 26.2 mile Colorado Springs Marathon, on Sept. 29 at Acacia Park. All I can really say right now is that you’ll never know if you can do something until you try. So, find a race you’re interested in and start training today.